Grantham Coates, a specialist survey provider, were appointed to carry out detailed surveys of the underground tunnel complex at Longbridge, nr Birmingham. 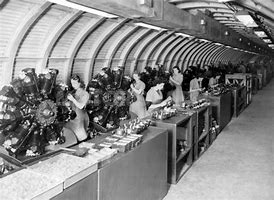 The tunnels were constructed during the second world war in order to continue the production of aircraft parts during bombing raids. Longbridge at the time was the second largest car plant in Europe and a target for bombing raids. Operating in confined spaces with unknown hazards can be potentially fatal so Grantham Coates called in OnSite for their specialist, hazardous area, support and rescue services. OnSite’s CSRS team have supported Grantham Coates on many occasions and are highly experienced, (an average of over 20 years experience per operative on this 3-man job) and extremely well equipped to carry out this supporting role. 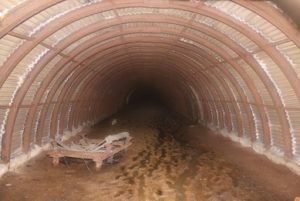 Before the Grantham Coates survey team were allowed entry, OnSite’s CSRS team carried out a detailed sweep of the tunnel system highlighting any hazards present. This included testing for any hazardous gasses or substances within the tunnel complex. The Grantham Coates survey team was then briefed/de-briefed on entry and exit. After ensuring that the Grantham Coates surveyors were competent in the use of the issued escape sets, breathing apparatus and gas monitors, OnSite then accompanied them throughout the survey. Utilising full asbestos protection equipment, OnSite were also able to support WSP who were assigned to carry out asbestos testing within the tunnels. OnSite’s risk identification and management enabled all surveys to be completed safely and without incident. “ We have worked with OnSite on many occasions and are always confident when it comes to putting the wellbeing of our operatives in their hands.